English teacher Bridgid Shannon has recently left Pine View after 13 years to join Florida State University’s Center for Leadership and Social Change, where she will serve as the Director of the PeaceJam Southeast region and coordinator of Moellerships, a competitive, summer service learning program that funds student-designed initiatives. During her time at Pine View, Shannon not only taught a range of classes from AP Language and Composition to Journalism I-IV(Yearbook) to Engaged Citizenship through Service Learning, but also led multiple on-campus events. This included coordinating school-wide service projects, serving on the Pine View Foundation board, and sponsoring many clubs like Pine View’s very own PeaceJam Ambassadors and Diversity Council. Before Pine View, Shannon previously worked at Sarasota High School and in Orlando, both teaching and serving on the management team at Borders Books, Music & Cafe. After being appointed to her position at Pine View, English teacher Cheryl Steele was assigned to be Shannon’s mentor. “Regardless if you’ve been a teacher before, when you come to the district, they assign you a SCIP mentor teacher. Mrs. Steele and I met regularly for peer coaching, and she would always bring us McDonald’s parfaits. I’m part of a long tradition of teachers she has mentored, but dialogue over parfaits is a special tradition we’ve continued. Tomorrow, Mrs. Steele is bringing McDonald’s parfaits, and we’re going to have one last parfait session,” Shannon said. Steele and Shannon also shared the responsibility of being co-sponsors of Diversity Council last year. “Due to the fact that Mrs. Steele didn’t have her classroom available to us during the time we were meeting, Ms. Shannon was kind enough to offer her classroom because she was open at that time. We were able to meet in her classroom on Tuesdays after school and she was there to help us out. When we took our second-graders at Pine View to Embracing Our Differences, she was one of the chaperones – she helped us both organize the field trip, as well as chaperone for the field trip itself,” eleventh-grader and president of Diversity Council Hannah Varghese said. 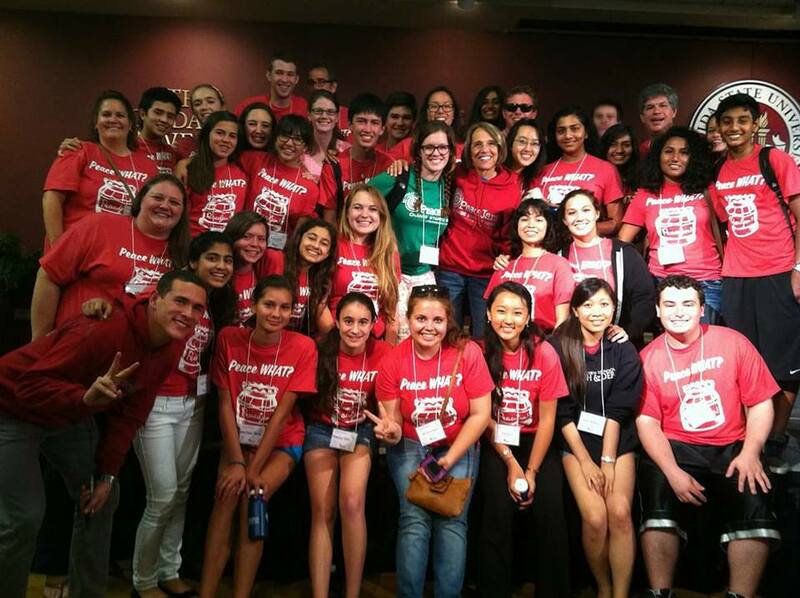 On the subject of service clubs, Shannon first became involved in the Kiwanis Family at Pine View back in 2008 when she volunteered to chaperone students in Key Club to their annual conference, the Florida District Education and Leadership Conference. 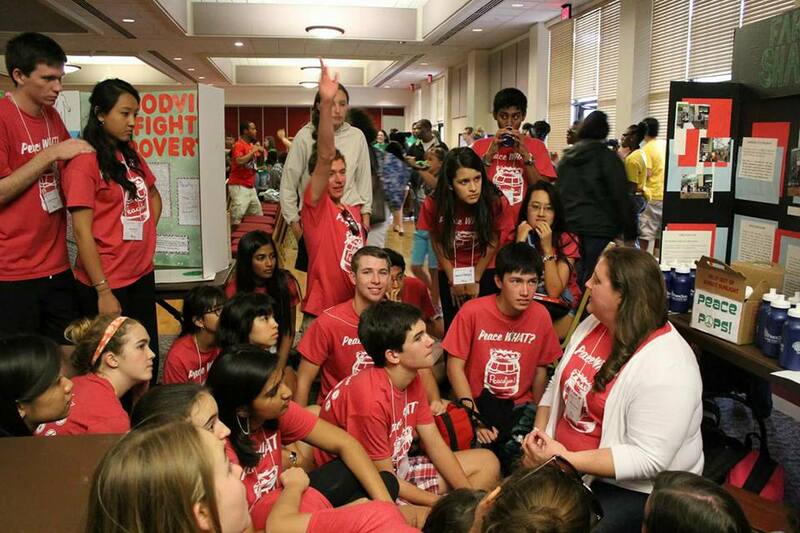 The Kiwanis Family is composed of clubs such as Key Club, K-Kids, Aktion Club, and more. The very next year, Shannon became the sponsor of Key Club and later Builders Club, but she was certainly not new to the idea of community service. 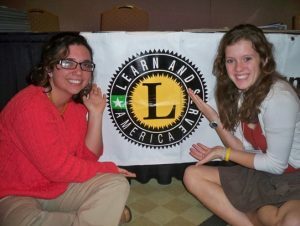 “Service learning is just a part of my identity. From when I was a little, I grew up serving in soup kitchens and, as I got older, serving by building with Habitat for Humanity. I worked internationally with Habitat Global Village in Ghana… community engagement has always been part of who I am,” Shannon said. In the very same year, 2008, Shannon also became engaged with Florida Learn & Serve, a federally funded grant program. 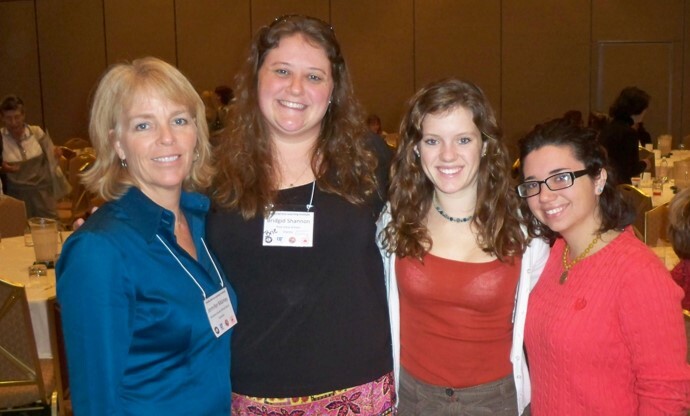 Sarasota County received a $60,000 grant to reinvigorate service learning in Sarasota and Shannon was asked to be a teacher liaison, where she helped train teachers and administrators in the curriculum of service learning. Shannon along with other students and teachers was also part of a grant review committee in charge of reviewing and executing mini-grants submitted by other schools in Sarasota County. She also attended the Florida Learn & Serve grant reporting conference in Orlando with two Pine View students, Janelle King and Melody Mishkin. Following a PeaceJam conference workshop King and Mishkin attended, the PeaceJam program was determined to be a match for Sarasota and Shannon was trained on-the-spot at the conference by Rody Thompson, the Director of PeaceJam Southeast at the time. Using her newly gained knowledge as a PeaceJam coordinator, Shannon, along with King and Mishkin, chartered PeaceJam at Pine View in 2008. 12 Pine View students attended the PeaceJam Southeast regional conference in Tallahassee that spring. King later went on to become a service scholar at FSU, a PeaceJam Coach in Tallahassee, a PeaceJam conference mentor, and a PeaceJam coordinator attending the conference herself with the Department of Children and Families Florida Youth Leadership Academy. 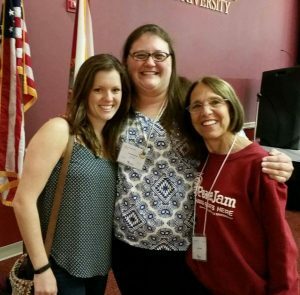 “Janelle and I were asked to speak at the 10th anniversary [of the PeaceJam Southeast conference being hosted at Florida State University] last year, so everything came full circle, because one of my students, who I’ve known since she was a seventh-grader, is now in the position where she’s bringing students to the PeaceJam conference and creating her own ripples of positive change to the world,” Shannon said. As the Director of PeaceJam Southeast, Shannon will be networking with PeaceJam Foundation International Affiliates, hosting PeaceJam Slams in regional hubs, supporting PeaceJam programs throughout the Southeast region (Alabama, Florida, Georgia, North Carolina, South Carolina, Tennessee, and the Caribbean) and training new coordinators in teaching the curriculum. 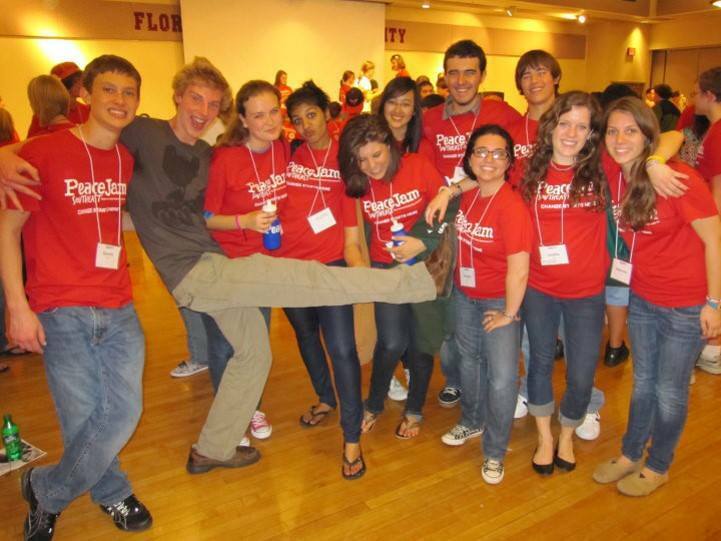 “At FSU and particularly at The Center, I’m excited about the collaboration that exists in that space and about being able to continue to build relationships with Pine View PeaceJammers, as well as those students from Pine View that come to FSU, as they find their voices and grow as change agents,” Shannon said. As for the many clubs Shannon sponsors, elementary guidance counselor Kate McManus will be taking over Ted Ed, math teacher Summer Grantham for Builders Club, and teachers Kelly Vest, Roberto Lamela, Misty Tucak and office secretary Jennifer Reyka for Key Club. Finally, new Chinese teacher Maggie Higgins, a former student of Shannon, will sponsor PeaceJam Ambassadors and Billion Acts with the support of teachers Lance Bergman, Chris Braun and Paul Dean. Though both Pine View staff and students are excited for Shannon’s future at FSU, her presence on campus as a teacher devoted to improving the community will be missed. “Ms. Shannon was always a teacher that I knew would be there to talk about anything and listen and as our PeaceJam sponsor, she worked really hard to make sure that everyone’s voice was heard within the club and to make sure that everyone was always safe. I’m really sad because I love Ms. Shannon, but she’s moving on to really good things for PeaceJam,” twelfth-grader Genevieve Dilan, a member of PeaceJam throughout high school, said. Awesome story guys! Ms. Shannon will be dearly missed!